When Hollywood It Boy, Reid Alexander, arrives on location to shoot his next movie, his goals are the same as always-film another blockbuster hit and enjoy his celebrity status to the fullest while doing so. His costar is a virtual unknown with whom he had blazing hot chemistry during her auditions. The universe is lining up nicely to grant whatever he wants, as usual, until he’s confronted with unexpected obstacles on location like a bitter ex-girlfriend and a rival for the first girl to spark his genuine interest in years. Emma Pierce just got her big break after more than a decade of filming commercials for grape juice, department stores and tampons, and more recently, bit parts in made-for-TV movies. Nailing the lead role in a wide-release film sent her agent, father and stepmother into raptures, and should have done the same for her. The Problem? Emma is experiencing a building desire to be normal, and starring in a silly, modernized adaptation of one of her favorite novels-opposite the very hot Reid Alexander-isn’t going to advance that aspiration. What led you to write your debut novel, Between the Lines? What were your inspirations for the novel, if any?? When I started writing it, my oldest son was studying drama at NYU. I watched the way the media and fans get so into the lives of celebrities now – there’s no such thing as privacy. People are assumed to be hooking up or cheating or breaking up and once the assumption is there it spreads like wildfire. My original idea was how that affects the people – especially young people – who really want nothing more than to be the artists they are, but suddenly every single thing they do (and even stuff they don’t do) is public knowledge. Some of them must wish, occasionally, to just be a normal private person, while others revel in the whole celebrity thing. You have many wonderful characters in Between the Lines. Is there a particular character that you identify with more than others? Why? My kids say I’m a cross between Emily (Emma’s BFF) and her mom. They’re both supportive and snarky. Reid was the easiest voice to write; I have no idea why. He let me into his head, no holds barred, and I guess for that reason I’d have to say Reid. Your novel is set up in a wonderful back and forth style narrative, giving both viewpoints of Emma and Reid. What made you decide to write your novel in this style? I actually wrote the whole thing from Emma’s POV, and it just felt not quite there. I began writing the sequel, which flowed dual POV naturally. After a few chapters I thought, “Oh NO. I need to rewrite the first book. It’s got to have Reid’s voice.” I dreaded an overhaul like that, but the moment I started doing it, I knew it was the right move. Reid from the outside is too good at pretending to be sweet. I had to get in his head to show the real guy. What do you hope readers take away from your novel?? Oh, man. Well, the importance of friendship, of following your instincts, of speaking up for what you want instead of expecting people to read your mind. Communication is crucial to any relationship. The lack of it is what causes people to begin making assumptions. For high school readers, because a teacher I never expected to say this said this to me — whatever intolerable situation might be going on at home now, you’re about to be on your own. Not everything can or will be resolved—but it doesn’t need to be. Some relationships just need distance, and parent/child relationships, particularly when seeing eye-to-eye isn’t possible, benefit from the “child” reaching an age of autonomy and getting some separation. Take that independence by the horns and show it who’s boss. Most parents can’t help but respect that. Why did you choose YA literature as a starting point? Did you always want to write for this age group, or did it just happen?? When my oldest was old enough to check out the YA section, I was amazed at what was there. I took a YA lit course in college (I went back to school late), and that’s the point I first started thinking about writing YA. The book that clinched the deal was The Truth About Forever by Sarah Dessen. It was just perfect and lovely. I wanted to do that. With steamier scenes and the F-word. I recently set up an extra bedroom as a writing room. The book A Room of Her Own, by Virginia Woolf, inspired me to take this space for myself, and it’s made a huge difference for me in output. My rituals include a lot of staring (out the window, at a cat, at the wall) and attempting to avoid clicking open facebook, twitter, email, etc. I actually benefitted from writing one novel and revising another at the same time, which is probably weird. I went by what mood I was in. Logical and analytical? Editing. Creative? Writing. Writer’s block? Reading (I have a comfortable loveseat in the room as well). Do you have a favorite author or novel that you recommend your fans read? What are you reading right now?? I think readers have a greater ability now to find authors they can connect with than they ever have before. 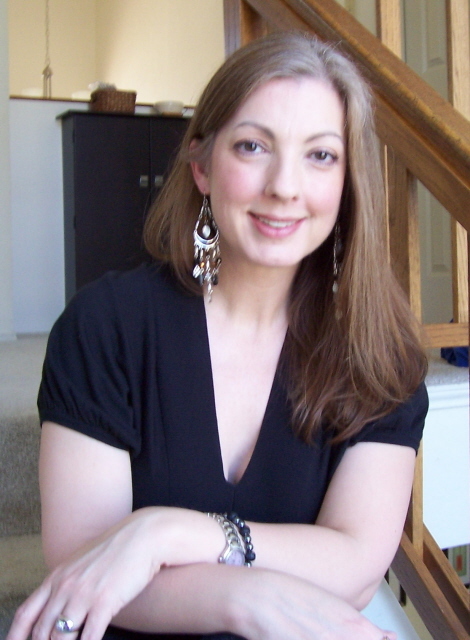 My favorite YA author is Jennifer Echols. She is masterful at writing hot guys and complications and plucky heroines and I always laugh out loud while reading her books. I also love Courtney Summers, que en of the misunderstood, imperfect heroine. My current WIP was very influenced by her. I also love Maggie Stiefvater, Sarah Dessen, Melina Marchetta, Kristen Cashore… heck, just friend me on goodreads.com and you can see who I love. Right this moment I’m reading Let’s Get Lost by English author Sarra Manning. Loving it so far. As Between the Lines is the first in a series, what can your fans expect from the next novel? Do you have any plans for a new series at this time? Thank you Tammara!!! I am excited to have you on the blog and have really enjoyed getting to know you! Between the Lines is available from the following sites–so go pick up your copy today! 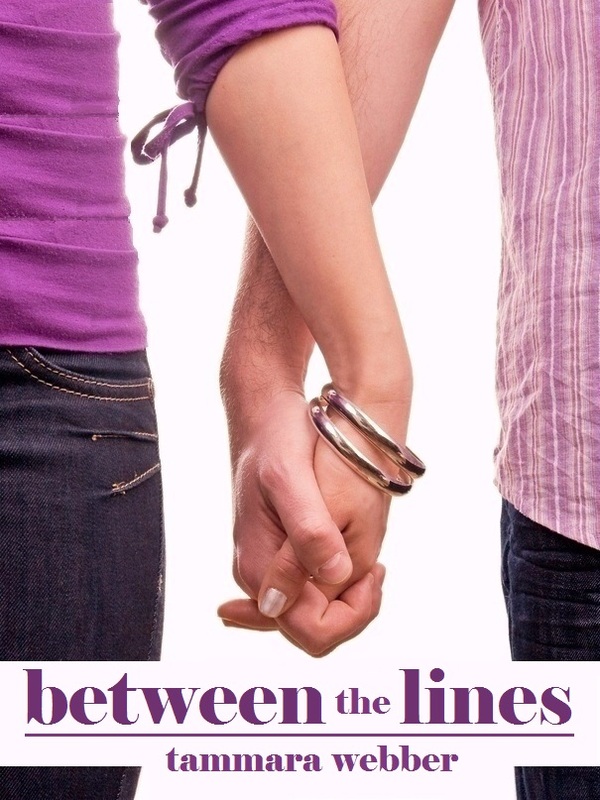 To read my review of Between the Lines, click HERE. Great interview, I like the books with both or more POV.